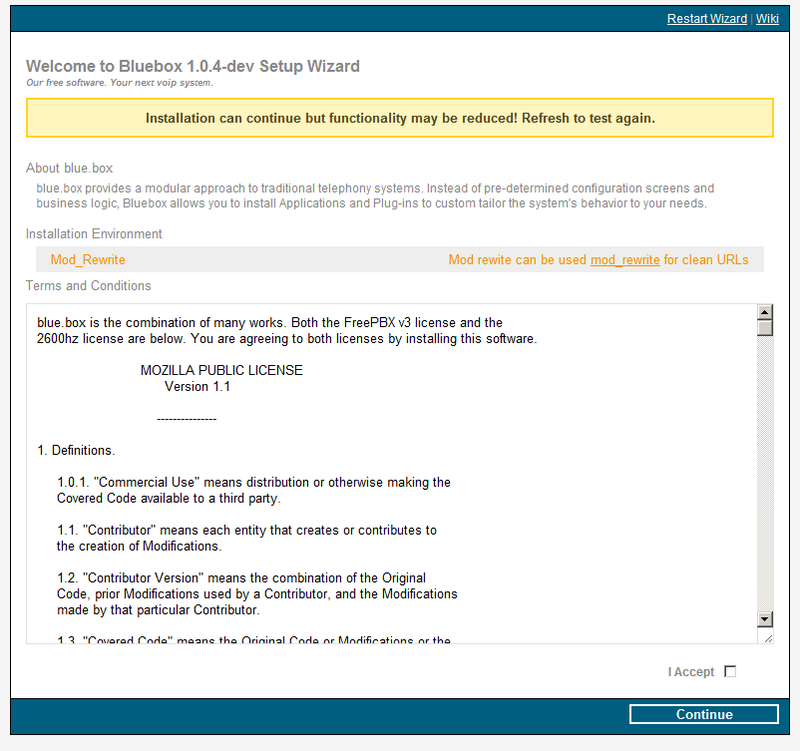 Use the bluebox php web interface to manage the freeswitch instance. Instead of using the default Apache (httpd) server, use Nginx and php-fpm to host the site. The php-fpm instance runs as the 'freeswitch' user so that it can modify the freeswitch configuration files, with the 'apache' group so that it can access the web site content and the php session variables (in '/var/lib/php/session'). 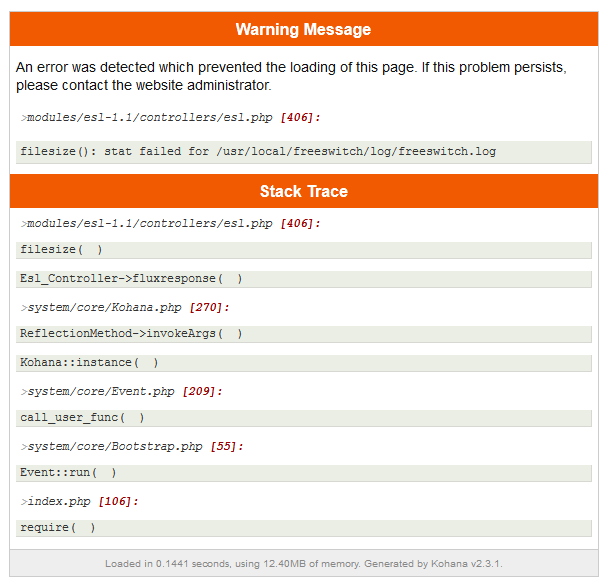 The first screen will display errors if there are unsatisfied dependencies. Because this installation doesn't use Apache, mod_rewrite is not installed. 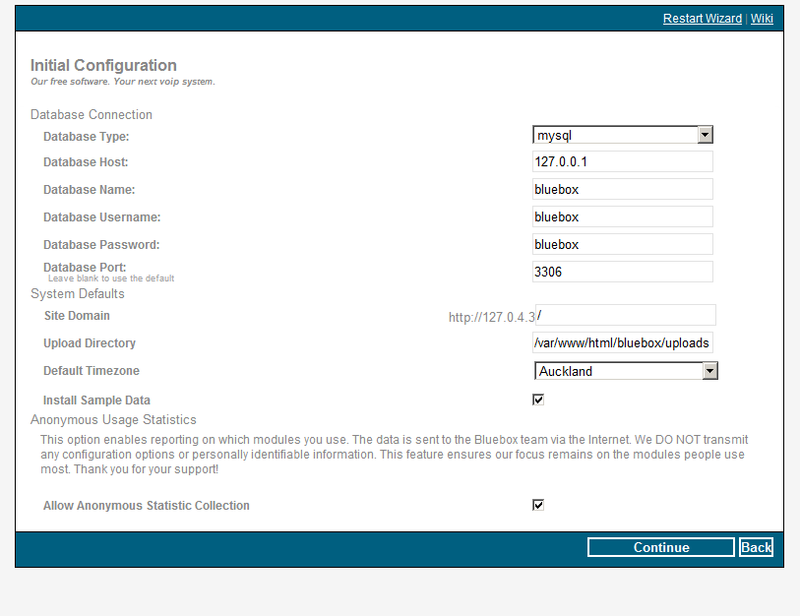 Select the database type. 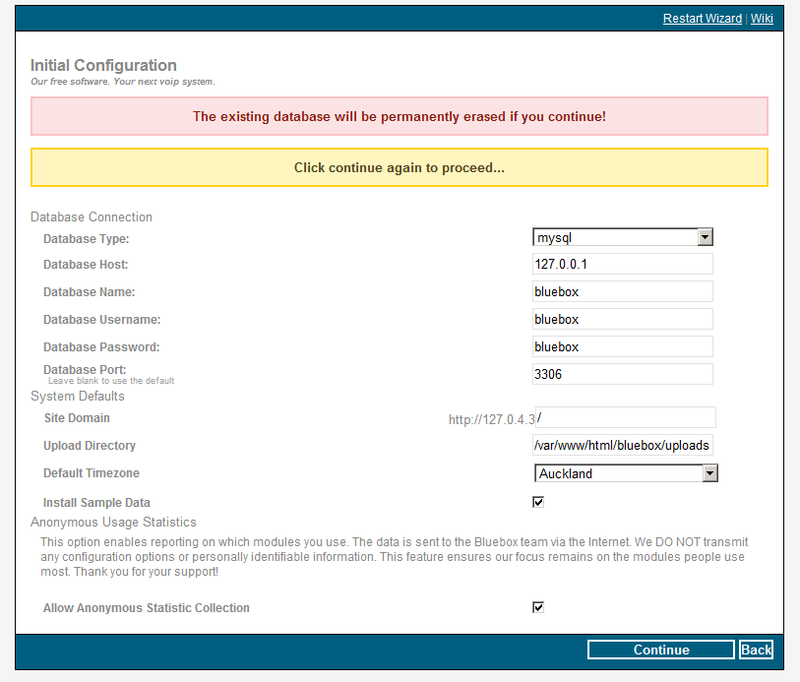 It is important to note that the MySQL server port number had to be entered to successfully navigate to the next step. Residual: Get this working and document. The status page generates an ESL error. This is due to the log file location being hard coded in thr ESL module. 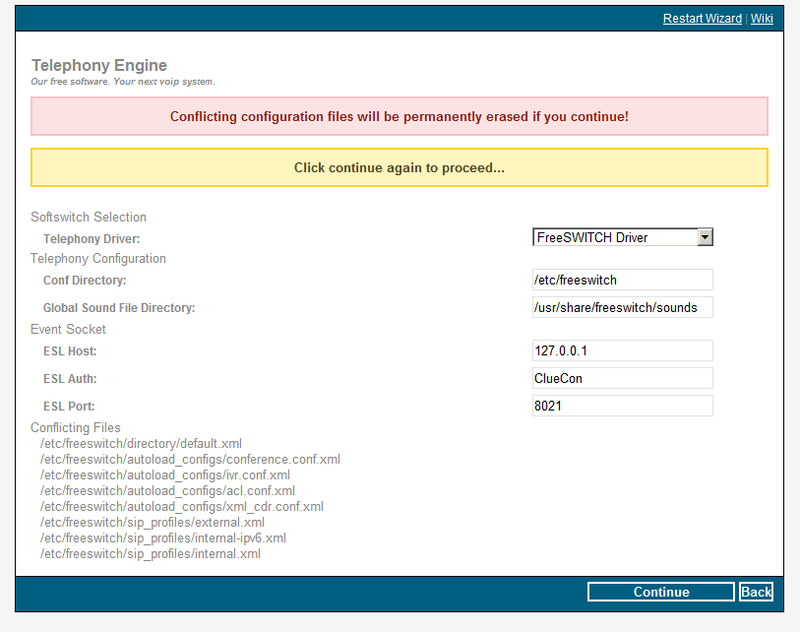 Fix: Link the hard coded path '/usr/local/freeswitch/log' to '/var/log/freeswitch'. See ticket 457. - - - Our free software. Your next VoIP system! the permissions on certain folder/files. directory so we can update its permissions. We need to verify the path to your sound files. Blue.box installer will get your system ready. Welcome and thank you for using Blue.Box!